As I've watched and listened to Donald Trump's campaign pitch over the past few months, I am regularly reminded of the Republican presidential primary campaigns that Pat Buchanan ran in the 1990s. Buchanan ran as a "pitchfork populist" in those elections, an outsider fed up with the way both parties did their business in Washington. He also championed slowing immigration into the United States and voiced skepticism about international trade deals. Sound familiar? I reached out to Buchanan to talk about Trump's similarities and differences with him and the broader state of the Republican Party. Our conversation, conducted via email and edited only for grammar, is below. FIX: Is Donald Trump the logical heir, issues-wise and tonally, to your presidential campaigns? Why or why not? 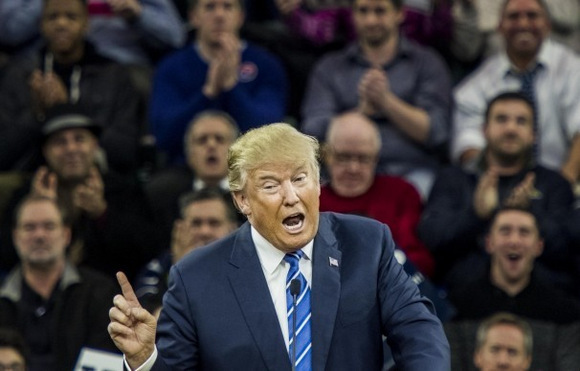 Buchanan: Trump is sui generis, unlike any candidate of recent times. And his success is attributable not only to his stance on issues, but to his persona, his defiance of political correctness, his relish of political combat with all comers, his "damn the torpedos" charging in frontally where others refuse to tread, as in that full retaliatory response to Hillary Clinton’s stab at him for having a “penchant for sexism.” Trump shut her down. These clashes have elated a party base that is sick unto death of politicians who never fight. On building a fence to secure the border with Mexico, an end to trade deals like NAFTA, GATT, and [most favored nation status] for China, and staying out of unwise and unnecessary wars, these are the issues I ran on in 1992 and 1996 in the Republican primaries and as Reform Party candidate in 2000. What Trump has today is conclusive evidence to prove that what some of us warned about in the 1990s has come to pass. From 2000 to 2010, the U.S. lost 55,000 factories and 6 million manufacturing jobs. What Trump has in hand now to prosecute his case against the Bush Republicans and Clinton Democrats is hard proof these trade deals have de-industrialized America. If the GOP wants to know why it lost the Reagan Democrats, it is because the GOP exported their jobs to Mexico and China. The returns are in. And testifying to that truth is not only Trump’s attacks on those trade deals but the lack of a vigorous defense of them by Clinton Democrats or the GOP establishment. Who today celebrates NAFTA, as John McCain went to Canada to do in 2008? FIX: What’s different about today’s political environment from the ones you ran for president in? Are people angrier now? What’s different today is that the returns are in, the results are known. Everyone sees clearly now the de-industrialization of America, the cost in blood and treasure from decade-long wars in Afghanistan and Iraq, and the pervasive presence of illegal immigrants. What I saw at the San Diego border 25 years ago, everyone sees now on cable TV. And not just a few communities but almost every community is experiencing the social impact. The anger and alienation that were building then have reached critical mass now, when you see Bernie Sanders running neck and neck with Hillary Clinton in Iowa and New Hampshire and Trump and Ted Cruz with a majority of Republican voters. Not to put too fine a point on it, the revolution is at hand.